This five week course will start with a brief overview of the Tarot’s origins. 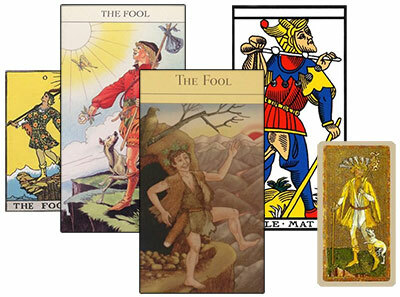 We will then examine the Mythic Tarot in depth as well as referencing other decks. We will look at the meanings, divinatory and symbolic, as well as the myths associated with each of the twenty two Major Arcana. The sixteen Court Cards, Page, Knight, Queen and King, will be discussed separately, linking them with the astrological signs and qualities as well as their myths. The forty cards comprising the four suits will then be discussed, noting their correlation with the astrological elements of Fire, Water, Air and Earth, and the myths associated with each suit. The final session will be putting it all together with readings which students can send in. Group questions and participation are encouraged. This course will be suitable for beginners as well as more experienced readers who would like a refresher or new perspective. This course is run as real time online tutorials. You will be able to interact with the tutor and other students, ask questions and watch the recorded sessions if you miss them or wish to revisit them. Recordings available for 1 month after course finishes. You will require a computer with a web browser, broadband connection and the flash player plug-in or Connect Application for Desktop. In addition a headset may be useful later in the course. Note: All courses are recorded by CPA/MISPA, by participating in courses you permit CPA/MISPA to record and sell the course that you have participated in.